Part travelogue, part narrative history, Colour unlocks the history of the colours of the rainbow, and reveals how paints came to be invented, discovered, traded and used. This remarkable and beautifully written book remembers a time when red paint was really the colour of blood, when orange was the poison pigment, blue as expensive as gold, and yellow made from the urine of cows force-fed with mangoes. It looks at how green was carried by yaks along the silk road, and how an entire nation was founded on the colour purple. 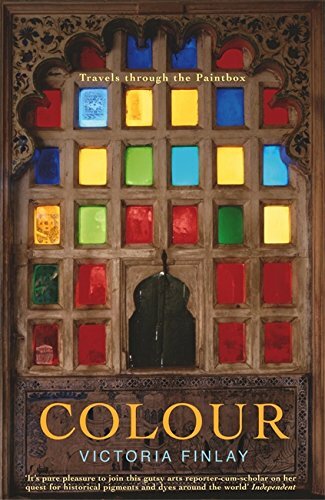 Exciting, richly informative, and always surprising, 'Colour' lifts the lid on the historical palette and unearths an astonishing wealth of stories about the quest for colours, and our efforts to understand them.